“Charlotte? I don’t know anyone named Charlotte’s Web. Where is this Charlotte and her web?” asked MrTang. 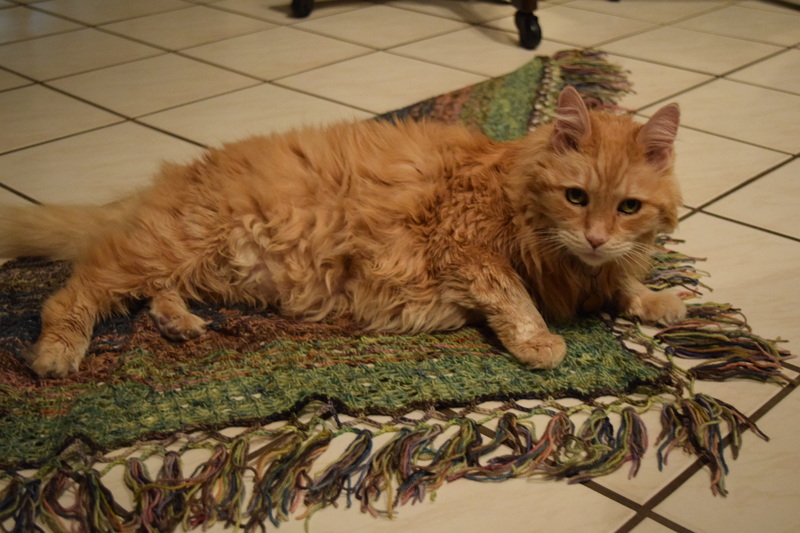 The good news is—MrTang is no longer short on fiber in his diet. “I kind of like the way the fringe slowly was nibbled off shortened on this end,” offered MrTang. 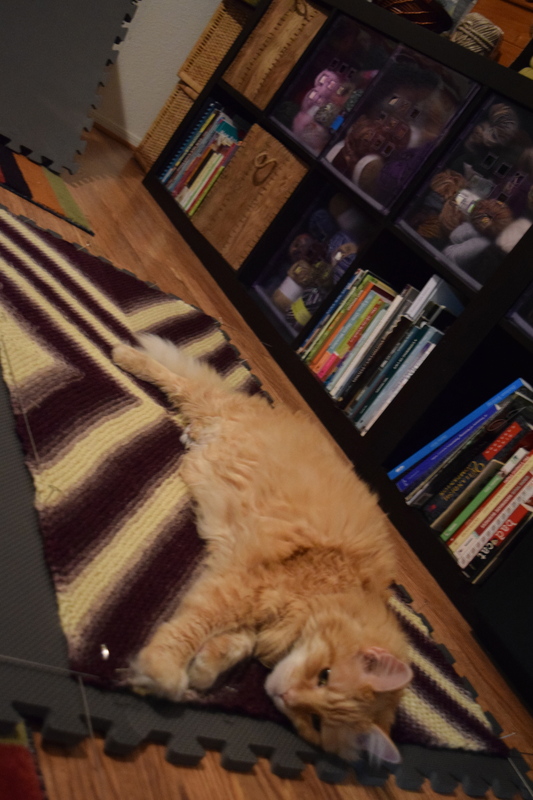 Meet My Knitting Assistant, MrTang. 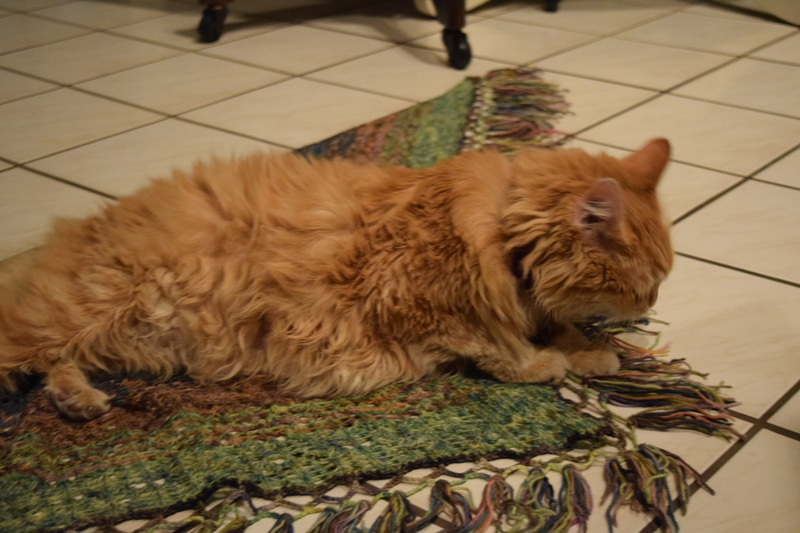 It takes a dedicated Cat Assistant to wet block a shawl. 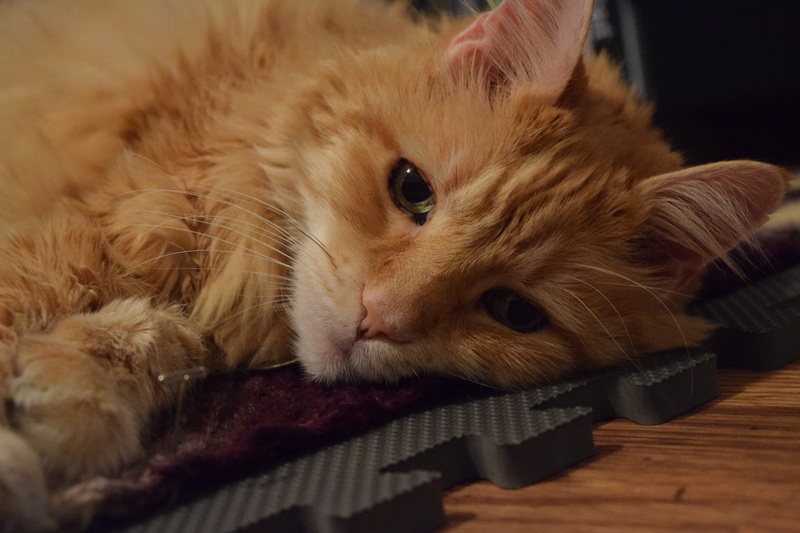 Watching all of those little pins makes a cat very tired. 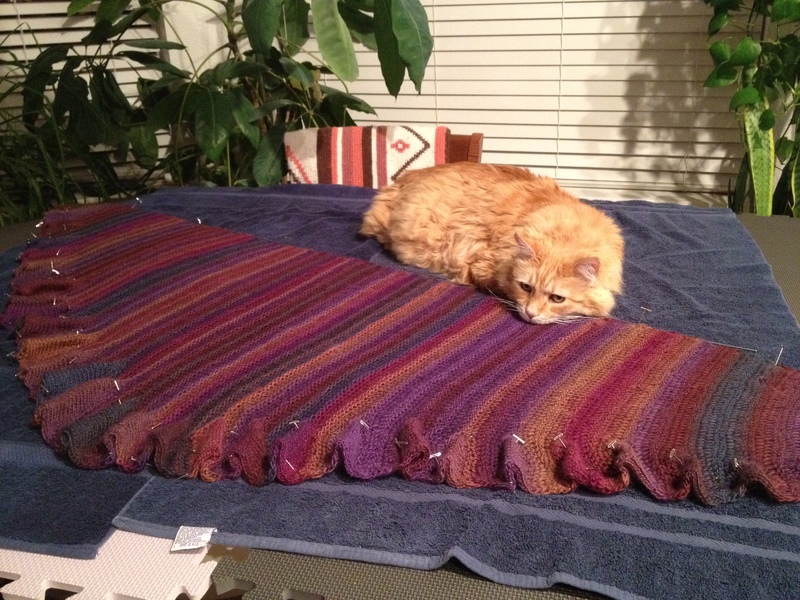 This Belle Nuit shawl requires a little quality control and extra inspection…. 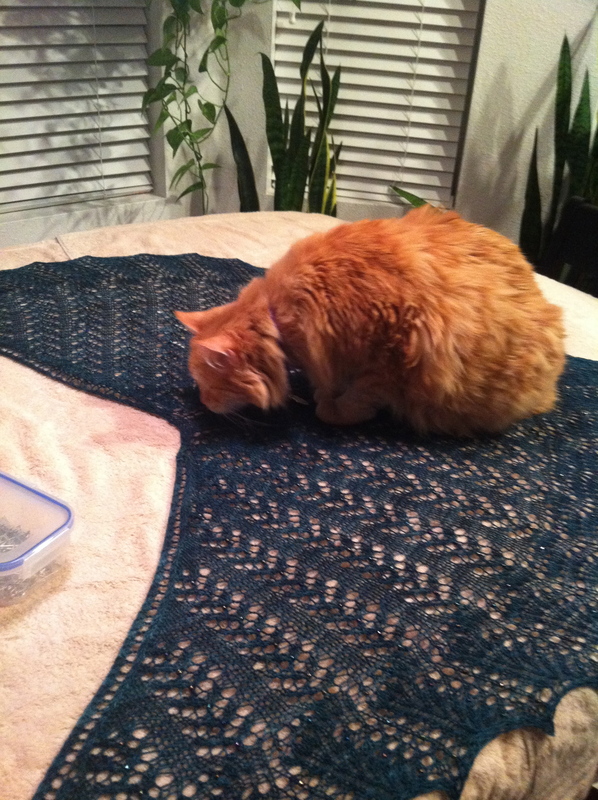 Double-checking Grandma Shibata’s poncho/vest prior to the blocking wires…. Mia’s Nancy kept flying up into the air, it required a full-body press to tame it. 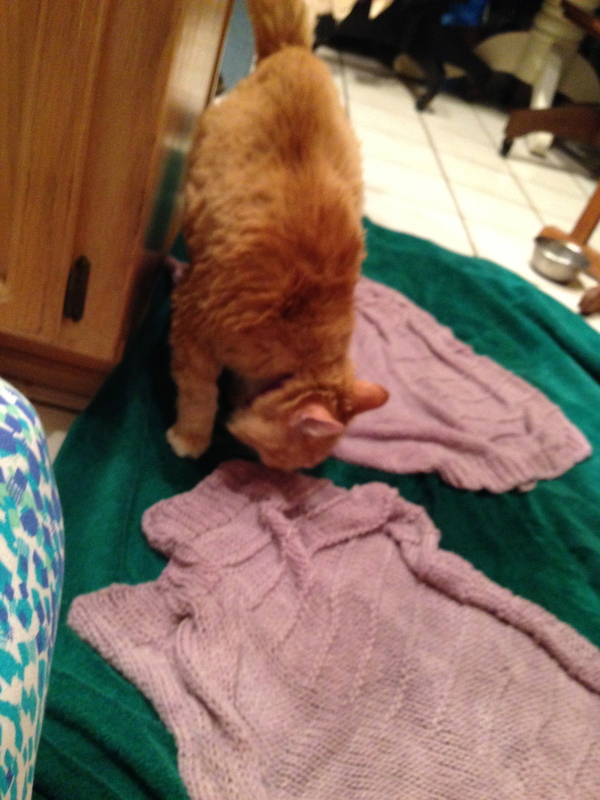 Besides, it smelled a lot like Dreft and Tang doesn’t understand why ………. 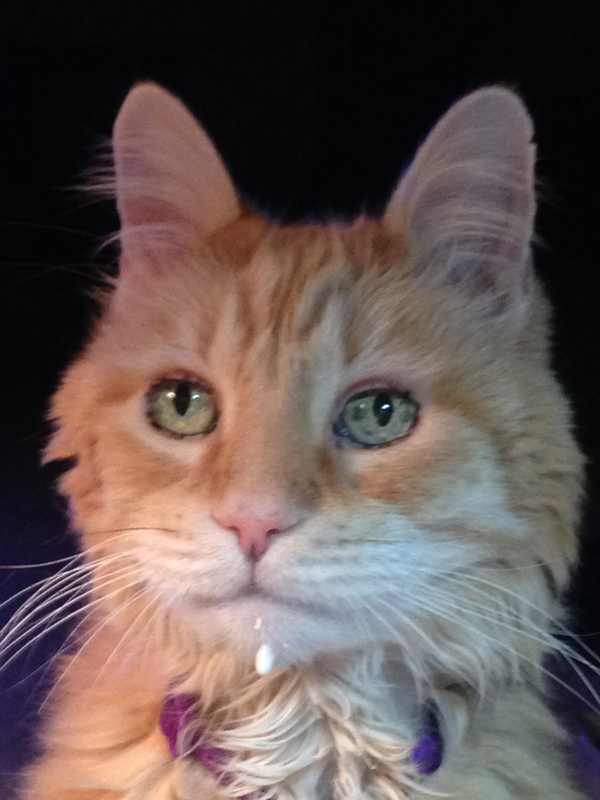 And lastly, who couldn’t love a face like this???? Meet Rhys and his sister Bryn! How cute are these two??? Pretty darned cute!!! 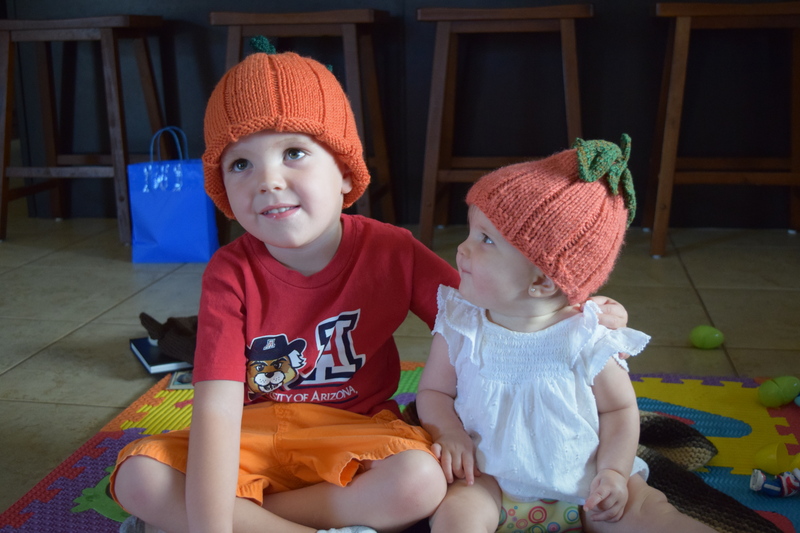 When Rhys’ sister Bryn was born, he shared his holiday hats with her. 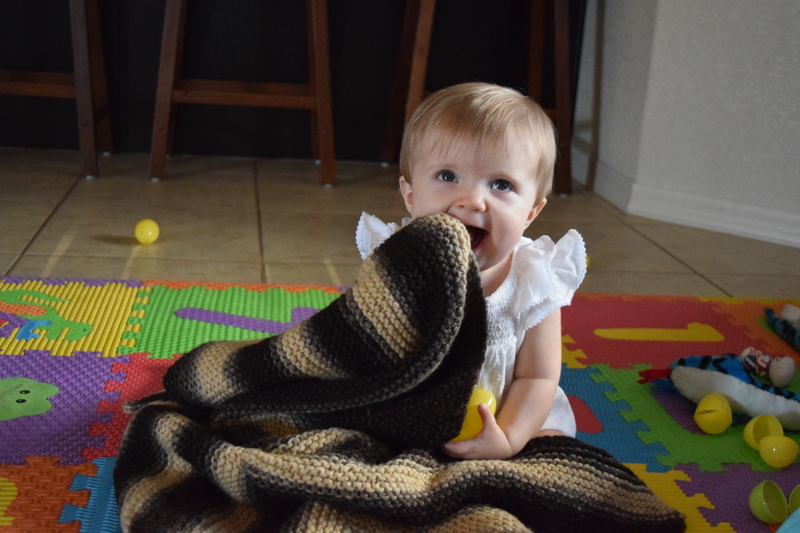 She got a new blanket…………… …………..and because her big brother is sharing his hats with her, he got a whole new set! He has a special one on order, a little deer with antlers and it is almost ready! You can tell that Bryn loves her big brother! allthingsknitterly.blogspot.com you can check it out–it is 18,520 today. The day I imported it was 18,505. I will be deleting that spot very soon. It’s kind of like picking out what number you want your new checks to start with when you open a new checking account. It feels like leaving a piece of your life history behind. A new start. Kind of a nice thing actually. Starting all over again. If you just graduated from college and you were starting your professional career, what would it look like? Would you be at the same spot today? Probably not. Seriously, I would have gone to veterinary school. For real:) How about you? Leave a comment. If nothing else, I need to know if the comment-leaving-process works. Can’t wait to hear what you say! My first blog post was 13July2005. I have just imported it to WordPress this past week and I wish I had done this years ago! 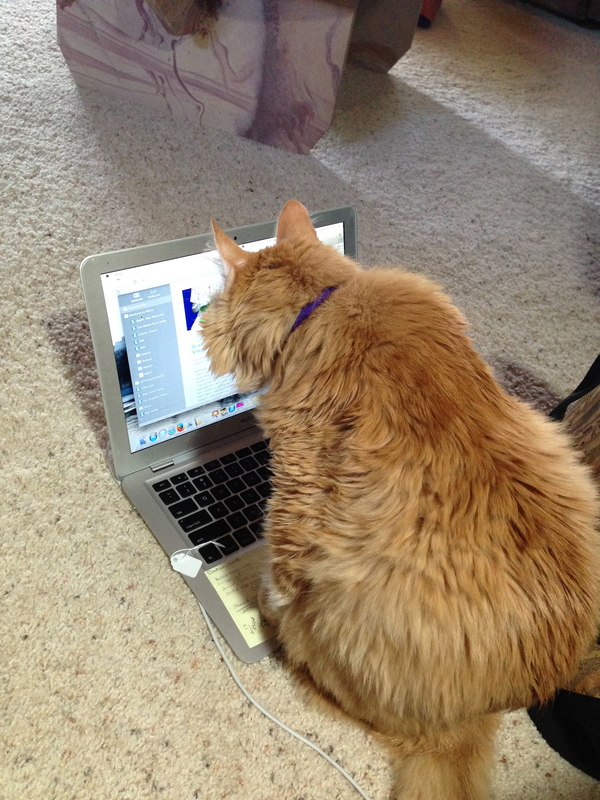 It was easy enough that I did it myself, and it is a very friendly interface, indeed. 2005 to now is 9 years. Hard to believe it has been that long. I just reviewed all of the posts from the first to last week’s. I am going to point out some favorite posts in the next post. The nice the about this platform is that you can use the Archives drop down menu to read a post that sounds interesting to you. You can also use the search window. For example, type in “socks” and it will pull up all the posts with the word “socks” in it. Cool, eh? It was a memorable read reviewing these posts today. There were several things I realized. First, I should blog more often. It really is enlightening to read through my historical timeline via my knitting life. I knew I had discovered Wildfiber (now Wildfiber Studio) in Santa Monica early in my sock knitting life, but I couldn’t remember exactly when. I know that I joined Blue Moon FIber Art’s Rockin’ Sock Club after discovered Socks That Rock yarn at Wildfiber. I joined RSC in 2006, 8 years ago. I must have discovered Wildfiber in late 2006. I came about this discovery in a round-about, knitterly quest. 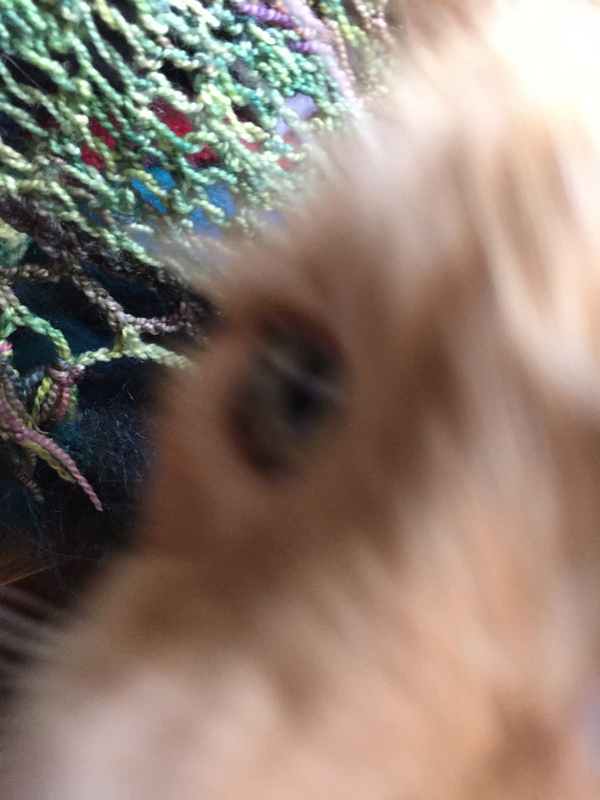 I listened to a podcast that talked about STR yarn at a wool and fiber festival–can’t remember the location, perhaps Maryland? They talked about the long line at the booth with STR and how they were finally able to buy some of this sock yarn. That started the hunt to find STR. I looked at their website and started calling their stockists. Couldn’t find any yarn in any of them. The more difficult it was to find it, the more I HAD TO HAVE IT. Have you ever been there? Finally, one shop told me that I would be better off ordering it from them directly. 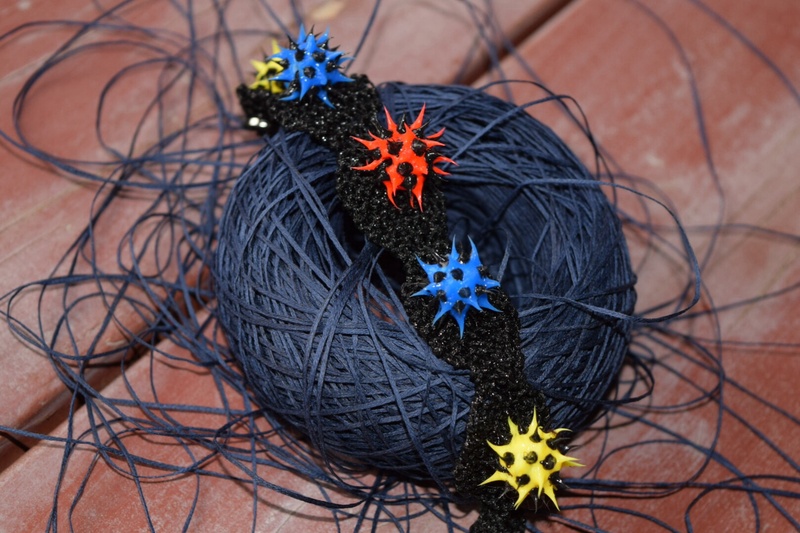 It was about this time that I found it at Wildfiber, a completely wonderful surprise! Not only did Wildfiber have STR, they had tons of Koigu and cashmere and Rowan and everything I could ever want:). The store was filled with natural light and friendly people. Search “Wildfiber” in my posts. They still have everything you want, more natural light, and even friendlier people! Just as we evolve in our craft, so has Wildfiber Studio. It is at the same location and the name has changed slightly. The owners have changed, but they are even more friendly and helpful. If you get within 50 miles, you really must visit. I like that they carry so many independent dyers. There is something for everyone there. I finally opened a WordPress account and exported my old blog from Blogger then imported to this site, all of that and it is not quite Midnight:30! 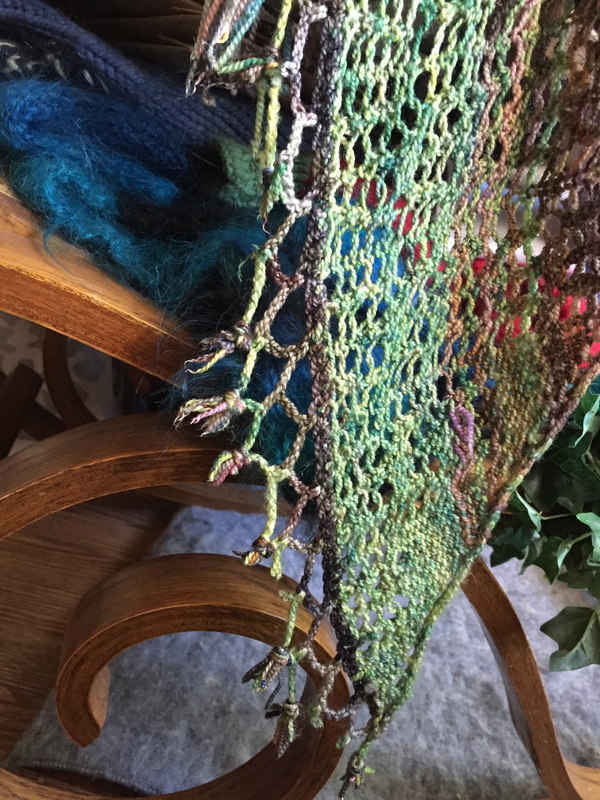 I have so much to get caught up on—here are upcoming teasers–Brides, Babies, Island Knitting Retreat with Cat Bordhi, lots of shawls, lots of ideas (Just How Addicted are You? 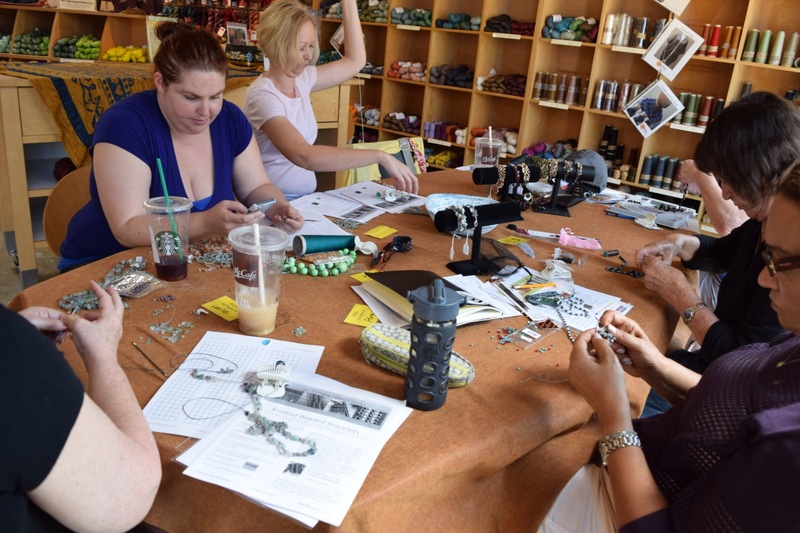 ), teaching Beaded Bracelets at Wildfiber Studio in Santa Monica, setting up my Etsy shop, and last but certainly not least, MyBeadKeeper in born! (actually, it is in the prototype stage, about 3 weeks away from final editing). All this and more! This WordPress platform looks to be much morefriendly with uploading pictures, customizing, etc. Check back frequently! This post’s teaser, explained next time, is The Viral Bracelet…………….. 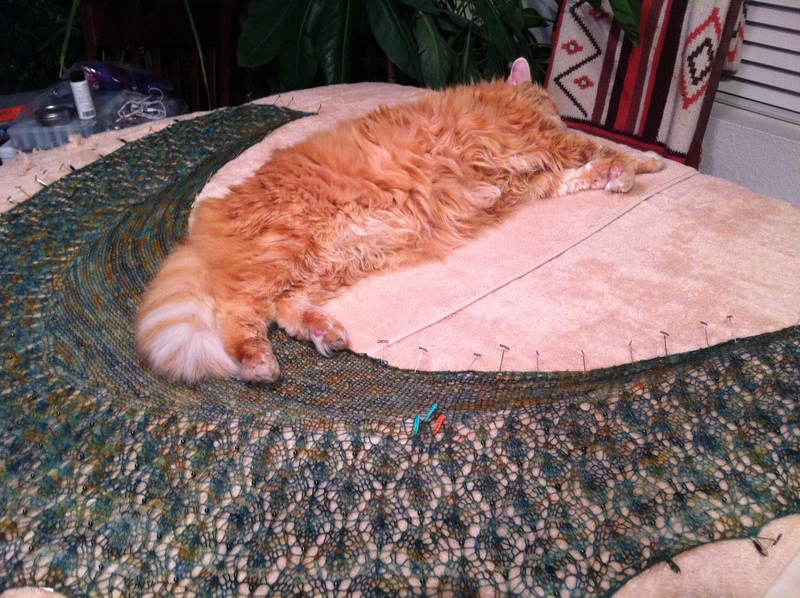 This is why I knit! Did I mention that I had the pleasure of knitting for 3 babes born between mid October and this past Saturday? 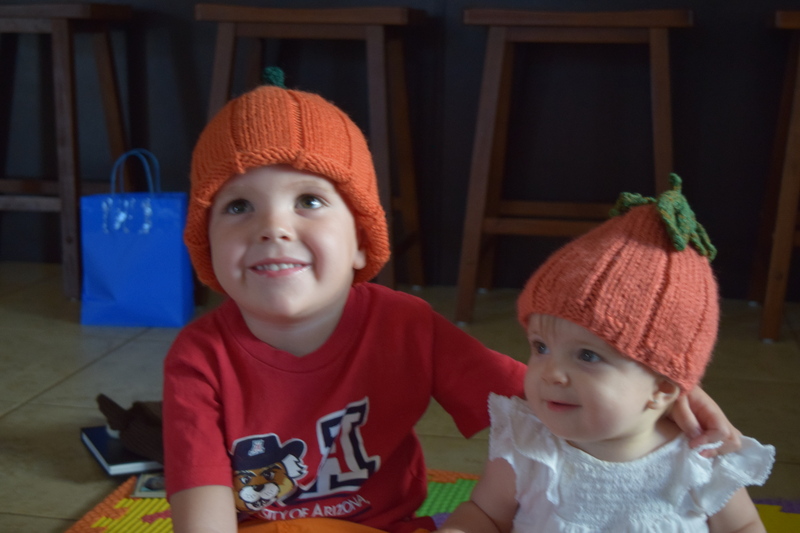 So much more fun to knit for them! Actually, fun to knit for anyone who loves it! The babe line up goes like this–in chronological order–Jackson, Ozzy, Addison, Dizzy, Brody, Rhys, Quinn, Grayson, Kate, Brooklyn and new to the batting order–Lane! 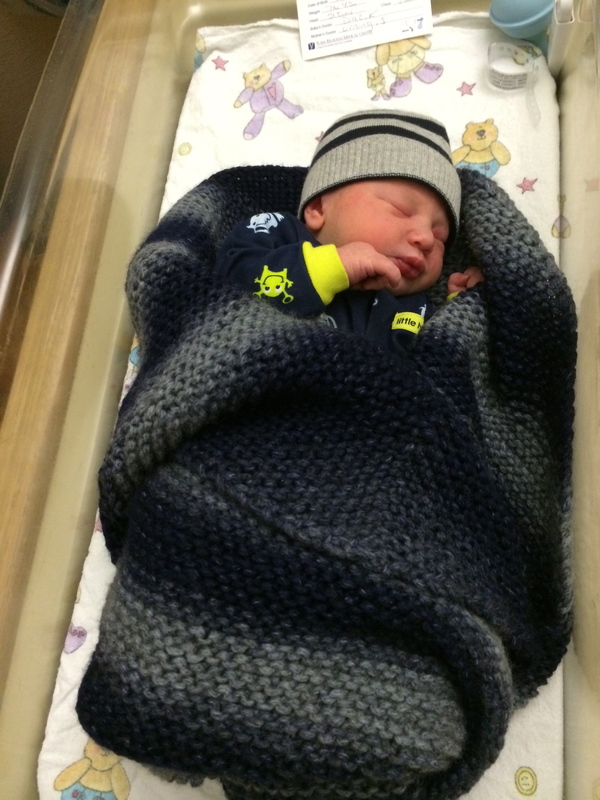 But—Lane is the first to be wrapped in his “Nancy” on the way home from the hospital! If you are a crafter of any kind, you know how happy that makes me! Do you have an iPhone???? Do you have a Smartphone???? Hello there! This is the full version of my iPhone saga. If you have an iPhone, it is very important that you activate Find Your iPhone and know how to use it. This is why…….. I met a Knit Sib at Kneader’s on Avenue B at about 3:45. We chatted away, ate a high calorie dessert and shared knitting projects/plans. We were seated in a booth. Another friend of ours (not a Knitter) showed up with his son. They bought some drinks and desserts. If you are familiar with Kneader’s, they sat at the long table between the booth and the soda dispensers. My Knit Sib left, I kept talking to our other friends. 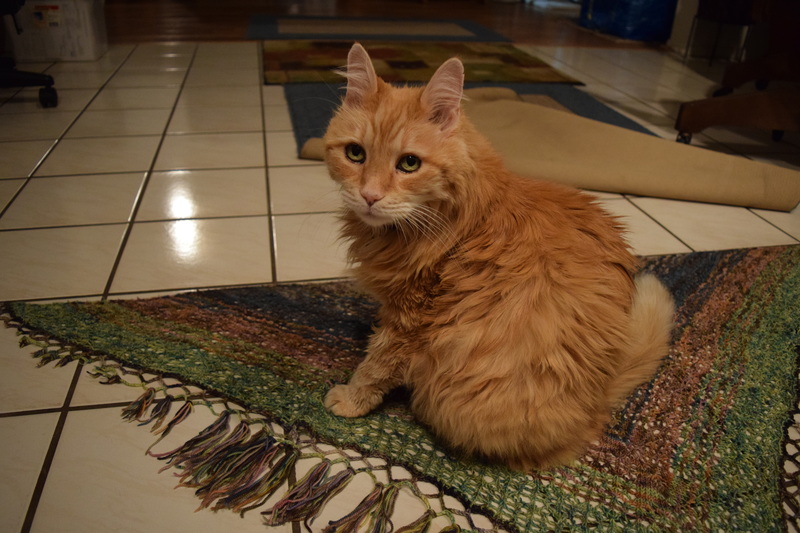 Sometime during this time, I pushed my knitting bag which pushed the keys to the wall end of the table and they were lodged in the space betweent the end of the table and the wall, about a 1″ space. I thought it made a surprisingly loud noise. I plucked them up and set them on the table closer to me. I think that is when my phone fell off the table. The other friend, his son and I all talked for about 15 or 20 more minutes. We got up and exited through the patio door. I was pulling my wheeled tote with one hand and had my keys in the other hand. I walked on the asphalt around to my car, they went to theirs. I loaded up my stuff and left. I stopped briefly at Walgreens then went home. I sat down in my chair and realized my phone wasn’t in my pocket. It wasn’t in my knitting bag or in the wheeled tote. I went back out to the car, no phone. We got rid of our land line several months ago. I was the only one who used it, and the only thing I used it for was to call my phone do find out where it was. Funny how those phones get lost under the paper, the mail, etc. When I couldn’t find it, I immediately went back to Kneader’s. It was no more than 30 minutes since I had left. I looked under the table, no phone. It wasn’t under the benches or adjoining boothes. I asked the two ladies working at the counter. They looked at each other, said neither had seen it, no one had turned it in. One went to the manager’s office and returned, saying that it wasn’t there. I went home again. By this time it was about 5:40. I retraced my steps in the house. Looked in all of the usual places where I may have tossed it-the bed, bathroom counter, makeup table, washer, kitchen island, recliner, etc. No phone. I put the foot rest on the recliner up, tilted it upside down and only found random stitch markers and runaway beads from recent knitting projects. No phone. Curt came home and I told him the story. I used his phone to try to call mine. It went straight to voice mail, like it does when you power it down. He went to my car and moved the seat around. There are lots of nooks and crannies around car seats. No phone. We both left around 6:15 to different destinations. I wanted to go back to Kneaders again because I couldn’t believe it had vanished. I wanted to run my hand along the back edge of the table and check at Walgreen’s. On the second trip to Kneader’s, no phone, althought they had cleaned under the table since my last visit as a toy a child behind me dropped earlier was no longer there. I went to Walgreen’s, no phone. I got Panda take out and went home. By this time the phone had been gone for at least an hour and a half. I signed onto my ipad and opened up Find Your iPhone. * There were 3 iphones listed, 2 iPads and my MacBookAir. I had activiated this app on my previous 2 phones. All were listed as offline. I locked the one that I thought was my current phone. All 3 were offline. The prompts let you sound an alert and leave a message that will show on the screen when the phone is activated. I did this. I thought about calling the non-emergency PD number. Because I had no other phone I couldn’t call. I checked on it periodically through the night. All three phones remained offline. I tried at about 6:30 morning, they were all 3 still offline. I tried about 15 mintues later and it was online. It showed its location on a map. It was off of 24th Street in the Manors east of Kennedy Pool. * I immediately thought to myself that I would just drive over there, knock on their door and asked for it. As soon as I thought this I realized how stupid that would be. I got my morning iced coffee and went to school, deciding to talk to our SRO as soon as I got there. He went to the address and explaned to the man who answered the door the situation and that the phone could either be in their house or the one just to the south. The GPS location showed it against the far southwest corner of the house. The man said neither he nor his wife worked at Kneaders, they did not have any kids who worked there and they had not been there yesterday. He went to the house next door. Before he reached the door, one of the parents in this house had seen his YPD car and had called her daughter at her school to find out what she wanted them to do about the phone. Apparently this parent had heard the alerts and read the screen messages. The SRO took the phone and went to her school. He had called our Admin and told them to let me know that he had the phone was still investigating. 1. Activiate this app on your phone and know how to use it. 2. When you first realize your phone is missing, sign on to Find My Phone and lock it up. Send the alert and a screen message. If there is more than one phone listed on this app you better lock them all. It is very easy to unlock them, you will be prompted to enter the code you set when you locked it up. 3. Retrace your steps in your house, your car, where ever you think you may have left it. 5. Send another alert to your phone from the app. Send it multiple times This is better than calling it. If you call, the thief will turn your phone off especially if the screen registers the incoming call as from “Home”. There is nothing they can do to stop the alert tone. 6. Do not drive to the phone’s location and think you can knock on the door and ask for it. To do this would be DANGEROUS and STUPID. Call your Police Department’s non-emergency line. This is what they do. They know how to work with theives. They do it everyday. 7. Do not be so naive as to think it will return in the case you had, however special you might think it is. The person who took it is a thief and will have discarded your case. Do not be surprised that they have changed your settings. 8. Check to see if they took any photos with your phone or made and calls or texts. You should report this to the investigating officer. Please pass this on to anyone you know who has an iPhone. I am sure that other smart phones have similar programs. You need to act quickly. Don’t be naive. You need the help of your very capable Police Department. Our SRO, Cpl Resendiz rocks! And your Christmas gift is…………..not yet completed…………. I promise hereby that I (aka knitterati) will start my Christmas knitting in July. I swear it. I promise myself this every year, but especially this one. Not that any excuse is valid here, but I have been busy. You know, just like you have been. Are you as much a procrastinator as me? It’s not that I didn’t want to knit these things, its that I thought I had more time. First priority goes to brides ‘n babies. There have been a lot of them, they just pop up out of nowhere and BOOM! I am 4 projects behind. Right now, all the babies are caught up. I am however, one bride behind. I gifted three babies between October and now. I keep having these ideas about blogging and I need to start acting on them. If I can also re-learn how to do photos within the blog I will add those too. My TAs at work are mostly girls-7 girls and one boy. 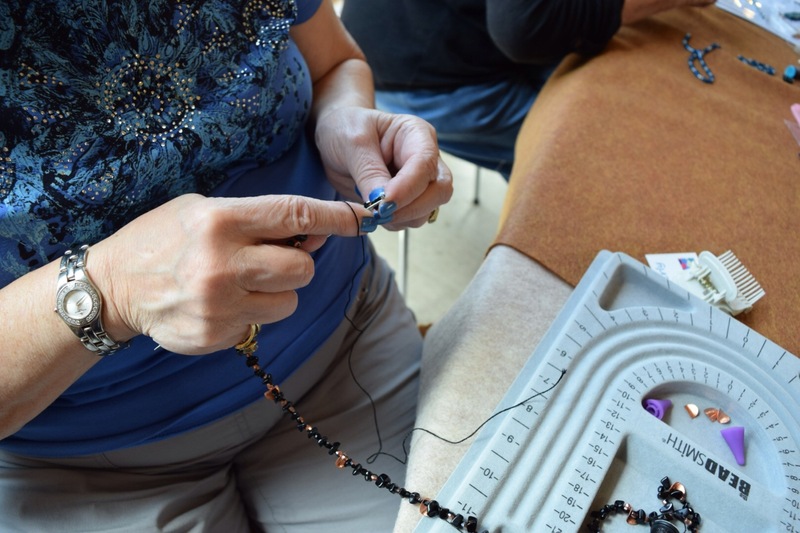 The girls were easy–I made them each a beaded Conglomeration bracelet. Easy except again I procrastinated the knitting after I strung the beads. And I gave them before the clasps so that I could get the sizes exactly right. I knew I wnted to make my boy TA a hat but could not decide on the color. Had an epiphany about 4 days before gifting that I should do it in USC colors, as he is a big fan of the Trojans. Gave it to him ready for the decreases. Finished them in time to deliver at his house the same day, except that the decrease section looked like crap. So I frogged and reknit, gifted the next day. He loves it. 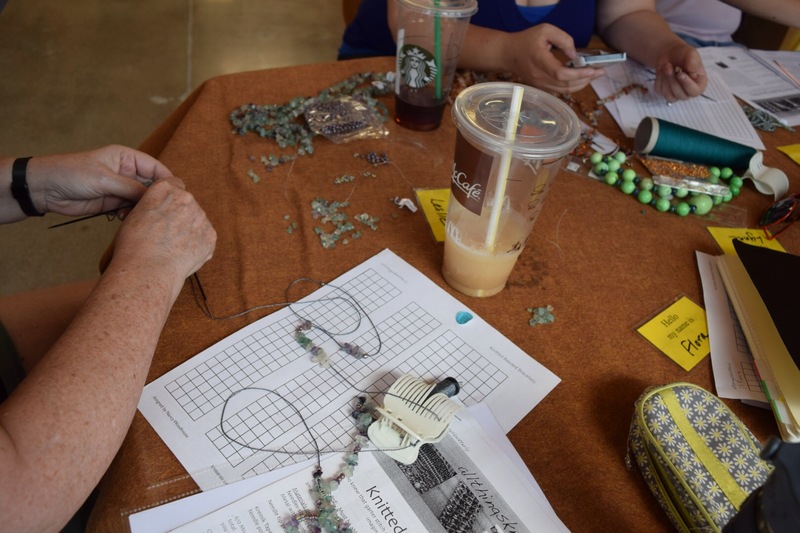 I taught a beaded bracelet at Wildfiber in Santa Monica in early November. It was a great fun time, and I realized that it took a lot of prep time. I wanted to be completely prepared. I was, but we had so much fun that I could have stayed with these ladies all afternoon. A couple of them completed their bracelets. Again, if I figure out the photo thing here, I will add photos. Can we postpone Christmas a few days?? ?